The Clayton 2 is Hoka One One's versatile long race and performance trainer suitable and is suitable for many as a daily trainer as well due to its outstanding cushion stack at a very light weight. a new Ortholite insole which for me eliminated the arch friction of v1, with some caveats on how to handle the first miles in the Clayton which comes out of the box very stiff. a more substantial heel counter area, still quite unstructured with a slightly more forward canted achilles collar to better lock in the heel area. Underfoot the midsole and outsole is unchanged. The ride is ever so slightly softer due to the new more substantial sock liner. For those not familiar with the Clayton it is a fabulous choice for those seeking a highly if firmly cushioned shoe at the lowest possible weight. It is a great potential marathon shoe and I enjoy training in them as they literally disappear on the foot, their light weight when combined with cushion provided, makes them a uniquely pleasurable ride. Hoka places them in their Speed category. So light for the cushion provided that they have a "Sam's Ratio" of 6.71 or 6.71 mm of cushion per ounce of shoe (add heel stack of 28mm to forefoot stack of 24mm and divide by weight in ounces). By way of comparison the similar riding Kinvara 7 comes in at a Sam's Ratio of 5.13 so less cushion per ounce of shoe. The outsole is made of Hoka's excellent RMAT midsole material which has high rebound and provides the pop off the road under the firmer Pro2Lite. Not to worry about the midsole part, RMAT is very durable when used as an outsole but Shoe Goo may be your friend in the highest wear areas. Hoka has used RMAT in other shoes such as the excellent now gone Huaka and the new Hupana, my shoe of the year 2016 which uses only RMAT for midsole and outsole (RTR review). The combination of firm dual density Pro2Lite midsole and springy rebound RMAT outsole provides a responsive yet cushioned ride which feels outstanding at faster paces and just fine also run slower. Hoka sent me both my true to size 8.5 and a 9. I ran both and clearly true to size is the way to go for most feet, even wider ones, as the upper is roomy with no pressure points from the overlays or the new tongue design which is a change from version 1. The new TPU overlays are thin, narrow and very evenly spread over the entire upper whereas in the Clayton 1 they were wider and especially thicker over the metatarsals, didn't flex well with shoe with some pressure felt and especially I believe contributing to the famous arch irritation issue. Some, including me, had irritation (first few runs then disappearing when I changed to a more substantial sock liner) under the front of the arch, some even blistered in the Clayton 1. The insole in the Clayton 1 was flimsy and thin and when combined with the initial stiffness of the shoe I believe caused these issues. My testing indicates Hoka has solved this problem with the new overlay pattren and by using a more substantial Ortholite sock liner. There are caveats to preventing irritation and I think a bit of a break in process to follow. Not to worry it is real short, 10-20 miles. I was able to test this with both pairs of shoes. As the Clayton is board stiff out of the box, runners need to take it easy for those first miles. I ran my oversize pair 15 miles straight out of the box in wet conditions. At 7 miles I felt a bit of irritation, very minor under the arch. Interestingly by 15 miles, under a downpour, the irritation was gone and the shoe flexed far better. This tells me that as they are stiff out of the box the foot and shoe don't bend together. In the Clayton 1 the dense overlays of the upper in that area "bunched up", the insole folded or moved and thus the irritatons. At 10-15 mile,s both Clayton 2 pairs started to have a good flex. I also tested the second pair by running with a Clayton 1 on one foot and Clayton 2 on the other for 5 miles. Then I compared to the unworn Clayton 2 for the other foot. The 5 mile shoe clearly had more flex and at 10 miles it was still ahead of the other. By 15 things started to even out. The red Clayton 1 has wider overlays and more substantial midfoot overlays, the black "H. The lime Clayton 2 has thinner width overlays in a consistently spaced and width pattern. The Clayton 1 has an external rubber toe bumper. The Clayton 2 bumper is internal, not as high over the toes and a touch firmer. The Clayton 2's heel counter while still quite unstructured is more substantial and shaped. The achilles collar tilts forward ever so slightly more. The rear of the shoe hold is improved for me as is comfort in that area. The light weight, firm Pro2Lite underfoot followed on the road by the high rebound softer RMAT outsole on the ground gives the Clayton a firm responsive ride with any harshness from the race ready Pro2Lite dampened by the RMAT layer. The softer ProLite in the heel balances well with the firmer layer upfront. This is not a shoe where you say "love the push off but ouch the initial landing". It is smooth and consistent in its ride and cushion at any speed even slower paces. My sense is they are slightly softer due to the new thicker sock liner than the Clayton. 1 have compared them one on each foot with the Clayton 1 which have 150 miles on them. Despite being broken in, I find Claytons at all mileages still a bit stiff and rigid at mid foot, a bit slow to transition before I get to the Early Stage Rocker upfront and the single quite abrupt stiff toe flex area. This may be because I am a heel striker. I prefer a longer smooth flex. Mid foot strikers will enjoy that stable mid shoe area as a stable quick path to toe off. Hoka has revised a great shoe which had some irritation issues for some into a yet better shoe. I consider the irritation issue to be solved but advise breaking them in before going long as they are stiff out of the box. 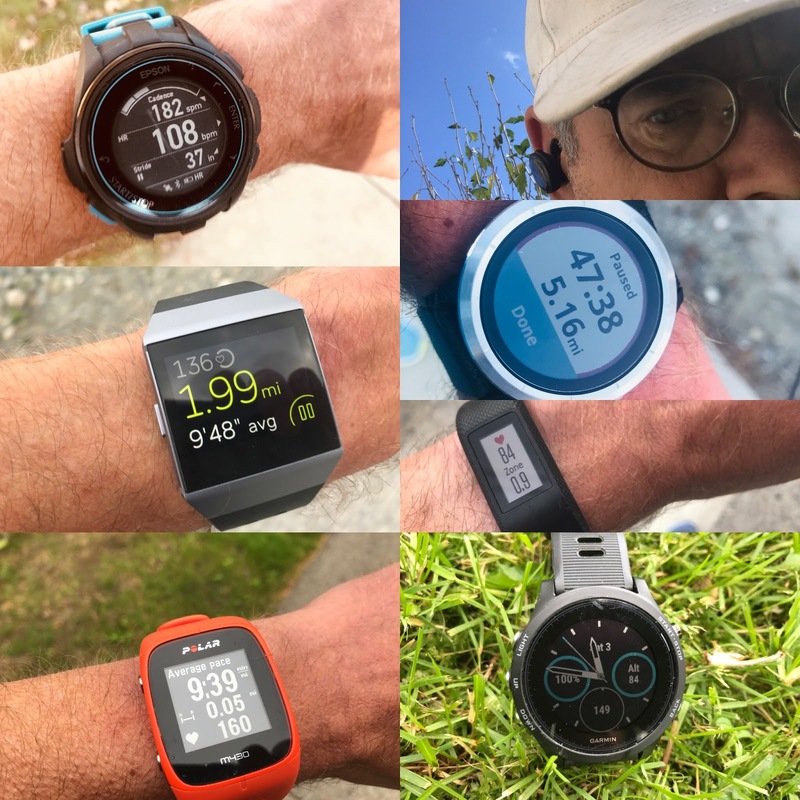 The more I run in them the more I welcome the smooth consistent fitting and supportive upper, responsive ride with some soft rebound from the RMAT and the light weight for all the cushion, the very high Sam Ratio. Combining support, response, a great fitting upper and super cushion into such a light shoe is not easy at all. Most often something or more than one of the foregoing falls by the way side but Hoka has pulled it it off with Clayton 2. This said when running them on one foot with a Clayton 1 with 150 miles on them on the other I noted the Clayton 1was noticeably firmer. Yes, the new Clayton 2 sock liner softens them but one must also realize that something has to give for the light weight and with the Clayton the midsole material may pack down more quickly than say adidas Boost or even other denser EVA based materials. If I would make one recommendation to improve the Clayton it would be that it after a longer softer flex. I would also not recommend racing them with less than 30 miles on the odometer so that flex is well broken in. Clayton 2 is a great long race shoe, certainly a performance trainer but for speed work maybe not as agile as most would like, with no question that it can also be a daily trainer for many. Very light weight, lots of cushion, and a lively responsive ride what more could one want! -0.2 for stiffness out of the box and overall stiffness rigidity at mid foot. Changing the outsole pod grooves from generally diagonal and longitudinal to be more across the outsole might help. Easily the closest comparison is the identical weight Kinvara 7 and slightly lighter Kinvara 8. You get 6mm more cushioning in the Clayton at roughly equivalent weights. The underfoot feel is very similar to the K7 and firmer than the softer, overly so K8 but the Clayton cushion is more lively, if a bit stiffer overall due to the higher stack. 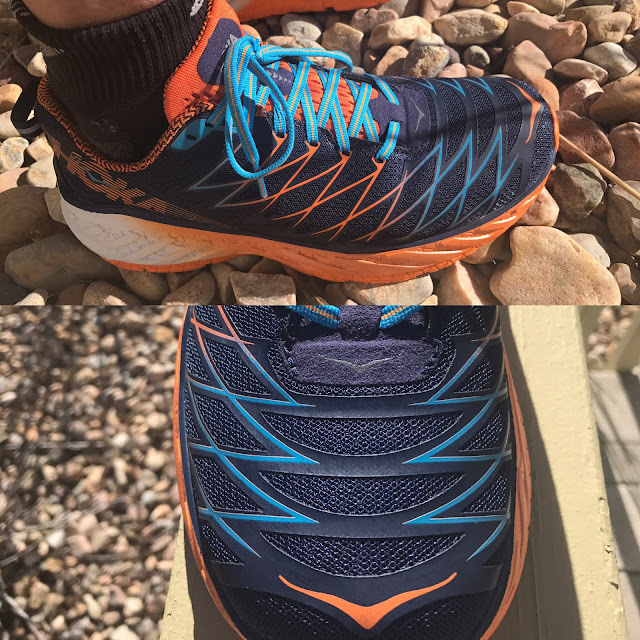 The Kinvara uppers are awkward in their quest to be light yet supportive and not as comfortable as the smooth all over Clayton 2's. Clayton over Kinvara for all uses but maybe a 10K race. The D4 weights slightly less and is firmer and more agile with a fabulous front of the shoe flex and toe off. It has less cushion. While I enjoy training in them, I would pick the Clayton for most training runs except speed. For shorter races I would run the D4 but for a marathon no question the Clayton. Here is where it gets interesting... the Hupana has a one piece all RMAT midsole and outsole. The ride is bouncy and lively but overall it has a lower stack and weighs a bit more than the Clayton. While Hupana is fun to run, Clayton is more all business. The extra cushion in Clayton is firmer, the transition is stiffer yet its slightly lower weight is definitely noticeable. So for serious run business Clayton gets the nod. For lower price, fun to run versatility as an every day trainer and workout shoe that can even go lifestyle look, the Hupana. Coming is a full ounce heavier the Boston 6 much like the Salming D4 is less cushioned, more agile than the Clayton 2 and has more rebound from the Boost midsole. I miss the forefoot cushion of the Clayton in the Boston. Feet get more tired as the miles pile up in the Boston. I would give the nod to the Boston as a race shoe, despite the weight penalty, with nod to Clayton for more versatility from racing to training of all sorts except fast stuff. Clayton's lighter yet firmer cousin has no RMAT in the mix. 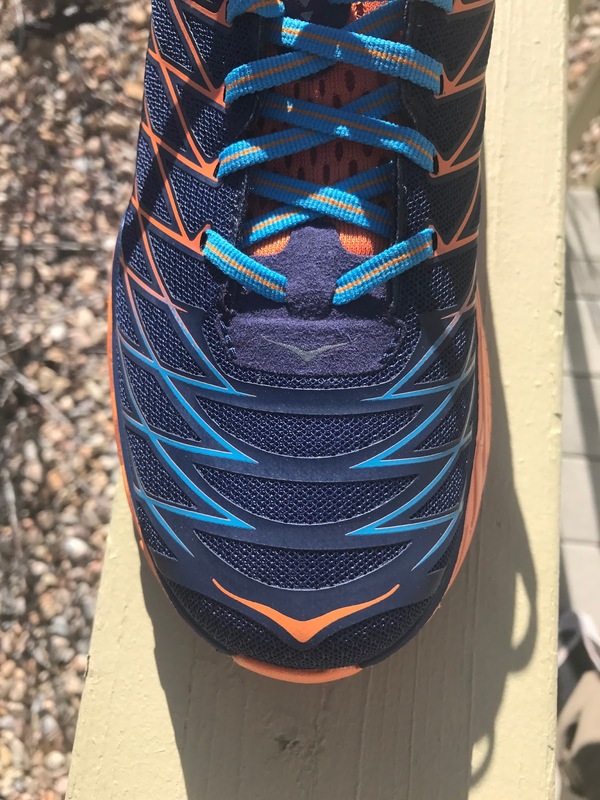 It is a firm responsive and for my tastes conventional racing shoe, overly firm for me for anything beyond 10K racing and has far less of what one associates with Hoka, cushion. The Clayton was provided at no charge. The opinions herein are entirely the author's. I've been looking forward to this review! Glad the arch issue is sorted out, but I think I'll stick to the Hupana. Did you get a chance to try Clayton 2 off-road? I'm extremely interested in the possibility of using lightweight "road" shoes for trail ultra races. Some that I've tried (e.g. Sketchers GoRun Ultra 2) are horrible off-road: as soon as you get them on an off-camber surface, you realize how unstable that tower of foam is. Others (e.g. Altra Torin 2.5) make excellent trail shoes, albeit with compromised traction. In my experience, big rocks get caught in that big groove on the Torin. I'd imagine similar things would happen in the Clayton. Haven't tried off road yet and it may be a while here in New England. Super wet everywhere. Thanks for the good review, as usual. It seems that Hoka changed the insole to address the blister issue of the Clayton 1. Do you think that putting a thicker Ortholite insole in the Clayton 1 will make it pretty similar to the Clayton 2 and solve the blistering issue, which is what has kept me from getting the Clayton 1. Hi, is the stack height really 28/24? 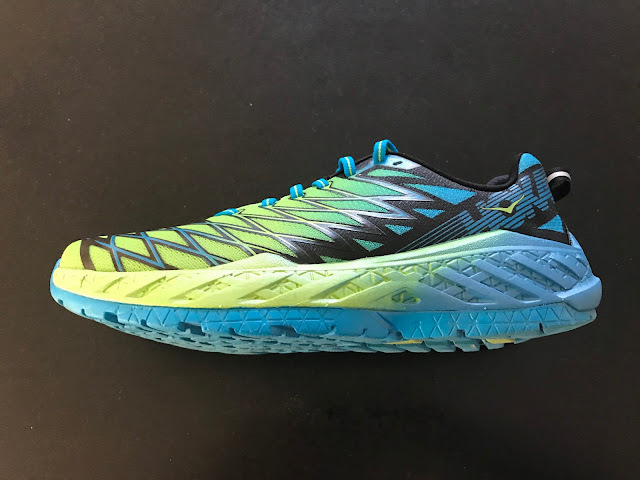 Hoka says on its website that the Clayton 1 and 2 have a 24/20 stack height. I was interested in the shoe, but if the stack is almost as high as on a Clifton that'll be too much for me. It is my understanding the Hoka website and earlier catalog I have lists without the sock liner. I try to include everything and Running Warehouse has Clayton 2 at 28/24 and Clifton 3 at 29/24 which I think is the correct total. Thanks for the breaking in warning! These are my first pair of Hokas, and they arrived in the mail today so I was excited to do my first run in them. My shins and lower legs were getting tired quickly and it made me nervous that they weren't for me. I'll keep working at them! I also have a shoe problem...I have 12 pairs I rotate. My favorite right now are my Saucony Freedoms! Give them some time to break in. Realize that the flex is different than the Freedom when broken in. They will flex closer to the front of the shoe and where they flex will, even broken in be stiffer. The Freedom flexes far back almost under the instep and is very flexible there and overall more flexible. You will find the Clayton to be firmer. 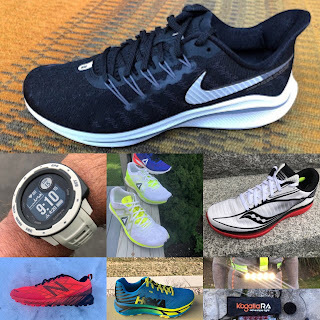 It is s shoe for running faster long miles while the Freedom is softer bouncier, a fun shoe but not a particularly fast or a longer run shoe for me, Let us know how things go. How would you describe the toe-box? Is it wider than the "usual" Hoka? Which of the Hokas has the widest toe Box? Miki, it is among the widest but aboslute width is not the only thing that could make it comfortable for a wider foot. The front overlays as described in the review are thin in width. Very even pressure no tight areas up front the result. It also has very good height volume Hope this helps. What works for you know in terms of width? Hi, How does the clayton 2 compare with the nike zoom elite 9 and ON Running cloudflow? Thanks for the wonderfully detailed review. How do you think this shoe compares to the O.G. of Hokas ultra light/ highly cushioned shoe the Clifton 1. Which might be my favorite shoe of all time. Thanks for writing! I am personally not a big fan of the Clifton for one key reason. The heel is to soft and unstable with its deep bevel geometry for me and usually leads to twinges in the bones above the ankle, which I get with no other shoe, and I have many. Still a fun fast shoe to run and so light but concerns for me. The Clayton is firmer all around and more responsive but still a true Hoka unlike, in my opinion, the Tracer which I consider a pretty conventional race flat with a great upper. I'm currently looking to switch back to Hokas and have been running most of my miles in Altra 2.0, but want a little more cush. Would these be a good move? Thanks for a great review. I was wondering if you have had a chance to compare the Clayton 2 with Brooks glycerin 15? We will have a review of the Glycerin 15 up next. The Clayton is considerbly lighter and also firmer. It is a far livelier shoe but considerably stiffer to, Glycerin being very flexible for such a high stack shoe with lots of rubber outsole coverage. A closer comparison would be to Clifton or Vanquish. The Glycerin has hands down a superior upper, among the best if not the best of 2017. The Glycerin also has a very durable outsole. Great review as usual Sam. I have been running in Bondis for over a year now since the metarocker and stiffness accommodate my arthritic big toe metatarsal joint by minimizing the amount of flex that occurs. I'd like something a bit faster though. Do you think the Clayton would yield a similar metarocker/stiffness protection of my big toe joint? They are not quite as stiff as Bondi with a slight toe bend way up front they are for sure stiffer shoes and they do have the meta rocker. So for faster running and they are a faster lighter shoe than the clunky Bondi and even oversoft Clifton they might work for you. Great review comparing the two shoes. I think it's only fair to mention that both versions have a very stable platform as well. So, it does give quite a bit of support without some type of posting or what not. Well, I went for an 8 miler in the Clayton V2s and low and behold, the blister monster attacked again. It's just forward of the arch and it seems the thicker insert is the culprit. It kinda folds over in the beginning of the toe box. I'm wondering if people are cutting the insert to sit in the shoe rather than the insert going up the side. When you put your hand in it you can feel the insert driving up the side of the inner part of the shoe. Any insights here, I love the ride, just hate the blisters...again. Anyone, cutting the insert or simply taking it out? I also have blister issues with Clayton 2. Unfortunately they didn't fix this issue, hope for next version. Hi I currently run in Clifton 3's and find them great but not very responsive but ok for distance, Will I find it difficult to change over to Clayton 2 or should they fit and run similar, The cliftons have helped with my injuries and hope the claytons will do the same as they have a similar shape to the rocker sole? You mention that you put 150, and then that the midsole is likely to pack up sooner than some shoes. Anyone have some guesstimates on lifetime milage for these? My Clifton's and Challengers usually get 500 with some serious shoe goo-ing. My Bondis and Stinsons go to about 900, again, with some goo love.